Many of you have asked about supporting the show. For that I thank you. For now, the best things you can do are SHARE THE SHOW, and shop with my links on Amazon. You will not spend any more money that you would normally. Here is the Amazon link Humble Mechanic on Amazon or you can check out some recommended tools I have listed below. It is finally here! 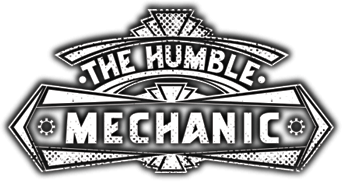 The audio only version of the Humble Mechanic Podcast. So many of you wanted to listen on the go, in the car, working out, and now you can. While I wait for iTunes, Google approval you can listen to the show here on the blog. Once those approvals come, you will be able to subscribe and download the audio podcasts from your favorite place. Viewer Car Questions ~ Podcast Episode 218 ~ Audio Only! Trouble viewing? Watch “Viewer Car Questions ~ Podcast Episode 218” on YouTube. As always I love to hear your thoughts. Please post them in the comments section below. Again, if you have a question for a show like this, email me Charles(at)humblemechanic(dot)com with Question for Charles in the subject. Also if you have an idea for a show, contact me via email, or use the contact me form!